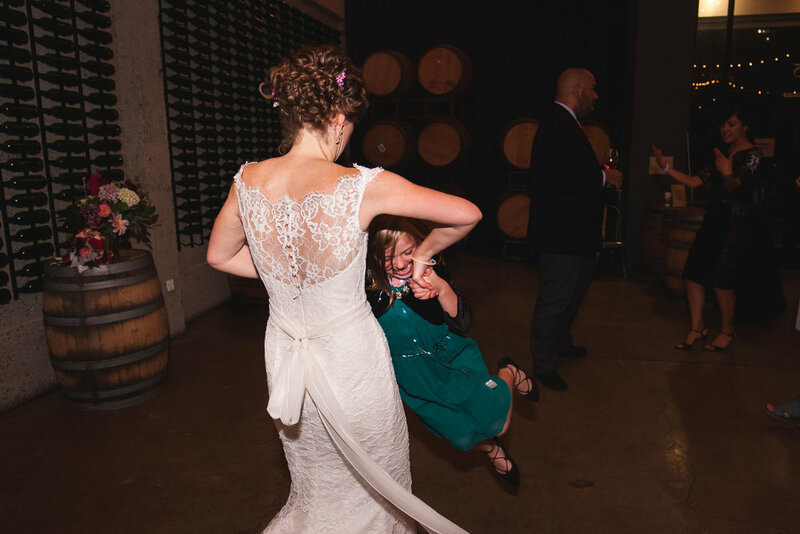 When Betsy and Sonny called to tell us they were looking for a photographer for their laid-back San Francisco wedding - at a restaurant/urban winery, with arcade games after the ceremony - we knew it was a perfect fit. Especially when they mentioned that to avoid dealing with SF traffic, they’d decided to charter a bus! We started the day at the iconic Palace Hotel and then drove all over town to pick up family members (and soft pretzels) and to take portraits at classic San Francisco spots like Golden Gate Park and Clarion Alley, a favorite spot of ours for colorful mural photos. The intimate ceremony and rockin’ reception were both at Tank 18, which was the perfect spot for such a chill wedding day. Thank you to Betsy and Sonny for letting us be a part of your day and to Jon and Monica, who recommended us as photographers. You’re great friends and supporters and we appreciate you so much!